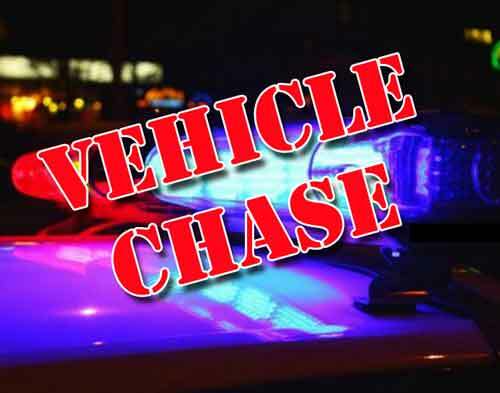 Trooper took an Anchorage man into custody following a car chase, crash and foot chase early Friday morning it was revealed in the trooper dispatch. At 2:25 am on Friday morning troopers attempted a traffic stop on a 1998 GMC Jimmy near Knik Goose Bay Road and the Parks Highway for a speeding violation. Instead of pulling over, the driver ignored the patrol trooper and sped away southbound on KGB Road at a high rate of speed. But, as the suspect vehicle attempted to make the turn to get northbound on Vine Road, it left the roadway, ran into the ditch and crashed into a telephone pole, disabling the vehicle. Once again, the driver, later identified as Sedric Williams, age 39 of Anchorage, exited the vehicle and continued his flight, this time on foot. Williams was ultimately taken into custody and the trooper investigation would find that Williams was wanted on a federal arrest warrant for firearm theft and drug conspiracy. Williams was also found to be in possession of a controlled substance and so was charged with that as well as Failure to Stop at the Direction of an Officer. Following his arrest, Williams was medically cleared then remanded to the Mat-Su Pretrial Facility on the federal warrant and his new charges. He was held without bail and remains in custody.